Rediff.com » Movies » Who loves grocery shopping with Shahid? Isn't that the cutest pic of Misha and Sasha? 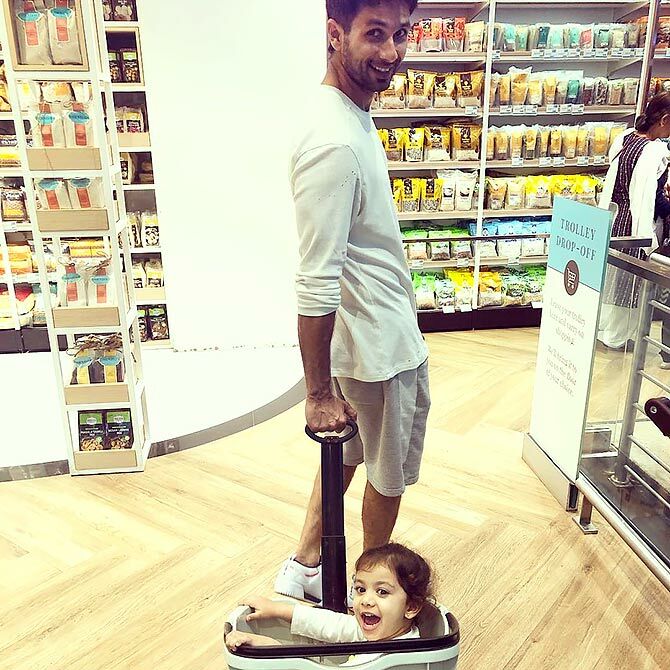 Misha, Shahid Kapoor's daughter, loves going out grocery shopping with her daddy dearest. Mira Rajput, Misha's mum and Sasha's missus, shared an adorable Instapic and captioned it, 'Fresh produce!! Which aisle stocks these sweet treats? #organic #sustainablysourced #handmade'. The other day, Sasha shared a cute selfie on Instagram; his post garnering over 1 million likes in no time at all.